In the 19th and early 20th centuries sole parenthood was usually the result of the death of one parent. 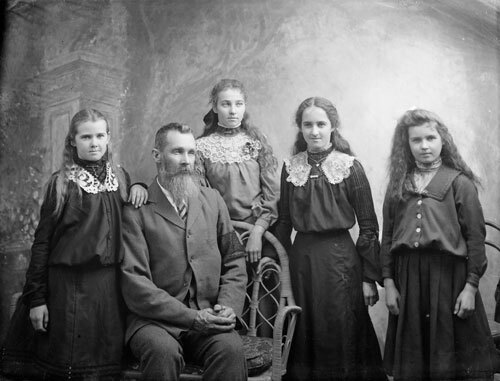 This photograph shows a father with his four daughters in the early 1900s. The black band on his left arm indicates that he is in mourning. The girls are also wearing black or dark clothing, and the absence of the wife and mother suggests they are mourning for her.